NATION: Fosgon – full warrior. Son to Fosgon chief Tomatcu. During a depression on the Fosgon nation Linciu was approached by the US military. When Linciu first joined the marine core he faced massive racist attacks. On one occasion he was outnumbered by a group of fellow soldiers hell bent on running a what they referred to as a ‘shopper’ out of the core. The CCTV footage showed exactly why Linciu was regarded as one of the finest warriors of his nation. After hospitalising the group and walking away unharmed the footage was sent straight to Washington with a presidential stamp. Linciu was court marshalled and thrown in jail until a highly respected General by the name of Raphael Diorra requested that the warrior become part of the notorious Rogue Battalion. Under the watch of General Diorra, Linciu shot through the ranks to eventually becoming Commander of Rogue Battalion. His fighting skills almost mirror Thai fighting with sharp reflexes and deadly moves to anyone who may oppose him. He is a blue feather meaning ‘whisperer’. This displays his abilities to command numerous different species but most notably the raven. Many of his enemies fear the site of the raven believing that Linciu is stalking them. The most superstitious of enemies believe the raven carries the soul of the deadly warrior making him invincible and an important figure in bringing down the criminal group known as the High Five. 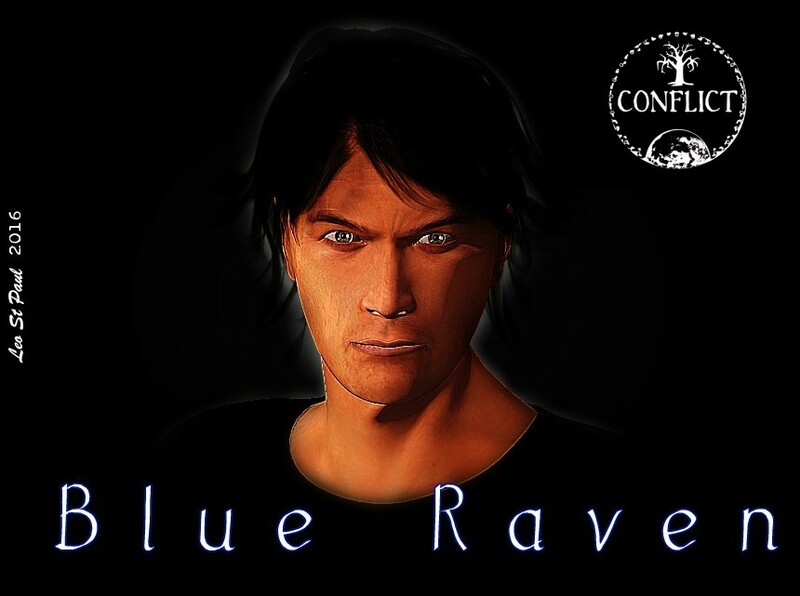 Subscribe to the page for more updates from the Conflict series.